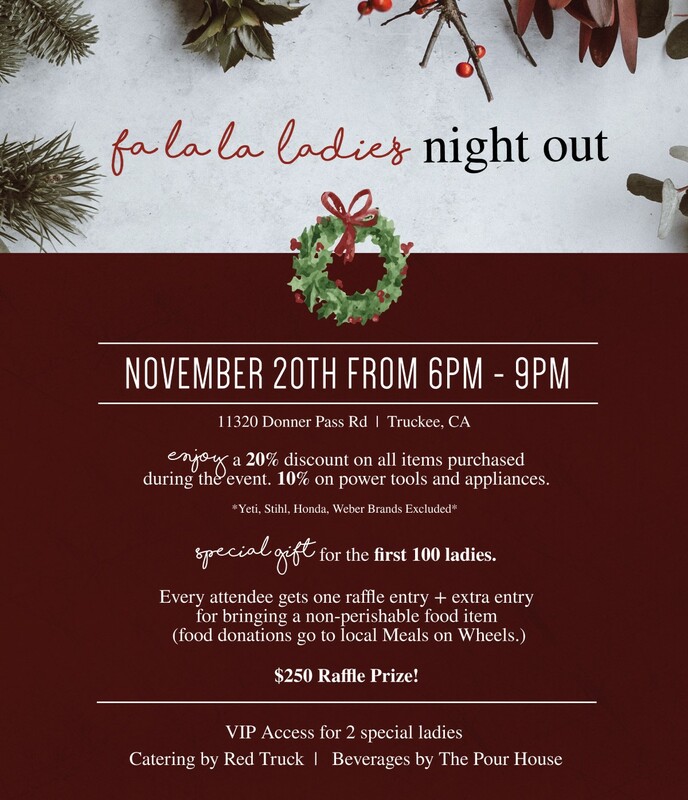 Calling all ladies - your favorite Holiday shopping event is almost here! On November 20th from 6PM - 9PM join us in-store for a night of fun and great deals! Post your favorite Tahoe/Truckee photo moment with you and a friend(s) for a chance to get early entry + goodies.